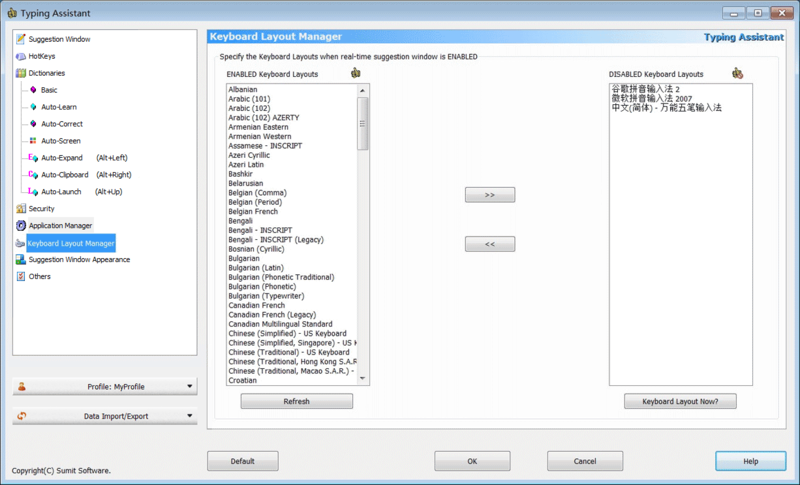 Keyboard Layout Manage enables you to specify the keyboard layouts that you want real-time suggestion window ENABLED. Click this button to show the keyboard layout in Typing Assistant now. When you work with a disabled keyboard layout, the system tray icon of Typing Assistant will show . When you work in a disabled keyboard layout, you can still activate the Auto-Expand, Auto-Clipboard and Auto-Launch suggestion window by hotkey.